She’s young, fierce, and “Throwing Up Butterflies”: She’s Stela Cole, a rising pop singer, and songwriter who just signed with RCA Records this June, and she’s ready to pop your world. 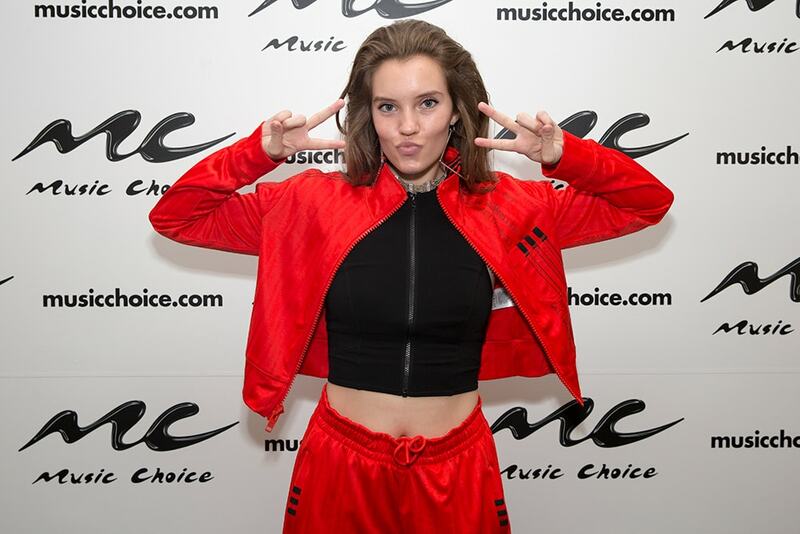 The 20-year-old Georgia native stopped by Music Choice and showcased her musical talent and even her bubbly side for writing emoticons and acronyms when we asked her to fill out a questionnaire. Was there a specific moment that made you want to pursue music? When I was 16, I had a serious back injury that took me out of soccer, and music literally saved me. It was therapeutic and helped me recover mentally/emotionally and ended up turning into my career. If you weren’t doing music, what career would you have right now? What’s the craziest/best thing that’s happened to you since becoming famous? Sounds cliché, but getting to release music and watching it connect with my audience and fans. It’s why I do what I do. Whats your go-to room service order? …pizza. Anything remotely close to pizza. I. Love. Pizza. If you tweeted or Instagrammed something and it didn’t get any likes, would you delete it? Probably not, the only time I delete things is if it doesn’t fit with the rest of my feed. Outside of making music, do you have a hidden talent? Choose one! What’s the best thing about having a song on Music Choice?